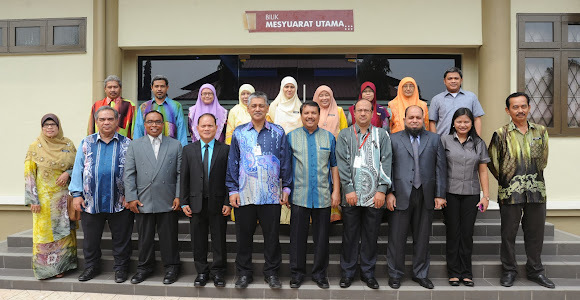 In pursuing quality and excellence in TVET, the Asia Pacific Accreditation and Certification Commission (APACC) covers another ground as each of the three Malaysian Premier Polytechnics submitted themselves to APACC accreditation through a two-day on-site visit, from February 20 – 28, 2014. The team of accreditors, composed of Dr. Hazrat Hussain (CPSC Faculty Consultant and Team Leader), Dr. Raul Muyong (APACC-certified Accreditor), Dr. Mohamad Hisyam Mohd. Hashim (Translator), Ms. Adrienne Abril (APACC Officer) and Mr. Bryan Noel Lazaro (APACC Officer) began the series of on-site visits to Politeknik Sultan Salahuddin Abdul Aziz Shah, Shah Alam, Selangor on February 20 – 21. The team continued with Politeknik Ibrahim Sultan, Pasir Gudang, Johor on February 24 – 25 and Politeknik Ungku Omar, Ipoh, Perak on February 27 – 28. Politeknik Sultan Salahuddin Abdul Aziz Shah (PSA), located in Shah Alam, Selangor, was initially established as Politeknik Shah Alam in 1997. PSA specializes on Medical Electronics. Aside from offering an Advance Diploma in Electronic Engineering (Medical), PSA developed its Centre of Excellence in Technology (CoT) for the field of Medical Electronics, and now known as the Centre for Medical Electronic Technology. PSA also offers programs on the following areas: Facility Management, Civil Engineering, Building Services Engineering, Wood-Based Technology, Electronic Engineering (Control) and (Communication), Mechanical Engineering, Packaging, Insurance, Marketing, Business Studies, International Business, and Mechanical Maintenance. Mr. Kamaruzaman Bin Ismail, AMK currently serves as the Director of PSA. On the other hand, Politeknik Ibrahim Sultan (PIS), located in Pasir Gudang, Johor, was formerly known as Politeknik Johor Bahru and began its operations in 1998. Its niche area lies on Fashion and Clothing Design and Graphics Design, as well as Hotel and Tourism Management. PIS’ CoT was set up to cater to the space needed in Graphics and Design. Other programs offered by PIS include: Mechatronic Engineering, Electronic Engineering (Control) and (Communication), Mechanical Engineering, Manufacturing, Materials, and Industrial Management. 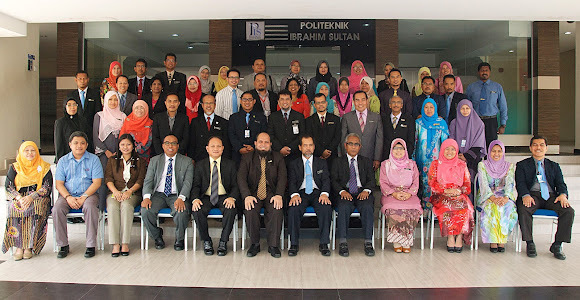 Datuk Dr. Arshad Bin Kassim (DPSM, KMN, DSM, BCM) was recently assigned to be the Director of PIS. Politeknik Ungku Omar (PUO), meanwhile, is the pioneering polytechnic established in Ipoh, Perak in 1969 through the assistance of UNESCO. It is the only polytechnic in Malaysia that offers the Marine Engineering program, thus developing its CoT on the said field. With Mejar (K) Dato’ Hj. Md. Bor Bin Yusof leading the polytechnic as the Director, PUO offers the most number of programs among 31 other polytechnics across Malaysia. Programs offered by PUO include: Mechanical Engineering, Accountancy, Entrepreneurship, Islamic Wealth Management, Networking, Civil Engineering, Architecture, Land Surveying, Electronic Engineering (Computer) and (Communication), Automotive, Air Conditioning and Refrigerator, Mechatronic Engineering, Information Technology, Information Security, Islamic Banking and Finance, Business Studies, and Retail Management. All three premier polytechnics were assessed against the seven APACC accreditation criteria – Governance and Management; Teaching and Learning; Faculty and Staff; Research and Development; Extension, Consultancy, and Linkages; Resources, and Support to Students. Results of on-site visits conducted will be transmitted to polytechnics after thorough deliberation by the APACC Board. The National Coordinator for Accreditation – Malaysia, Pn. Noor Aidi Mohd Nadzri, was present from start to finish overseeing all the activities. This endeavor was successfully conducted in cooperation with the Department of Polytechnic Education, Ministry of Education Malaysia, in line with the department’s transformation plan, which is to develop all Malaysian polytechnics into self-accrediting University Polytechnics by 2020.